Where Is Google Health In the Evolution Of Wellness ? I had a great few days this week with some of the key leadership of MFA. The new executive director Ken Germano, along with other board members and participants, engaged in a fulfilling workshop on the future of the association, conducted by Bill Shannon, the former Chairman of ACE, among his other accomplishments. Since its initial launch to much fanfare, Google Health has struggled to be relevant. Since its formal launch in May 2008, Google Health has not dedicated the resources to build out this platform into a truly engaging ecosystem of applications to assist the consumer in managing their health or the health of a loved one. Rather than build out new features, support a broadening array of standards, focus on the necessary business development that is required to establish partnerships, Google has taken a laissez-faire attitude to this product/service never dedicating more than a handful of engineers to the effort and most often flexing in outside vendors, such as IBM who built the module to bring in biometric from Continua compliant devices. 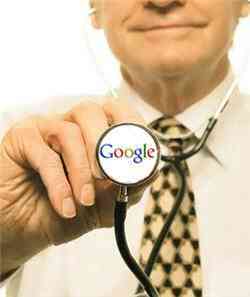 As a patient it is interesting to me how Google health seems so unknown to so many. The diagnostic group Qwest offers an interface for medical records with Google Health , yet not one of my doctors uses it or even knows about it. When I've brought up Google health in the past in the fitness business or with medical fitness professionals not a single person has been aware of its capabilities, which are significant. That confuses me. I've included a video on Google Health below and wonder: Why is the solution not being adopted by more care proviers ? Where Is Google Health In The Evolution Of Wellness ? Please let me, Bryan O'Rourke, know your thoughts.